Online teaching and learning have become widespread with the emergence of the Internet and other new technologies. However, online environments pose new challenges to those seeking to develop or choose suitable teaching approaches, and this is especially true in the case of language courses. 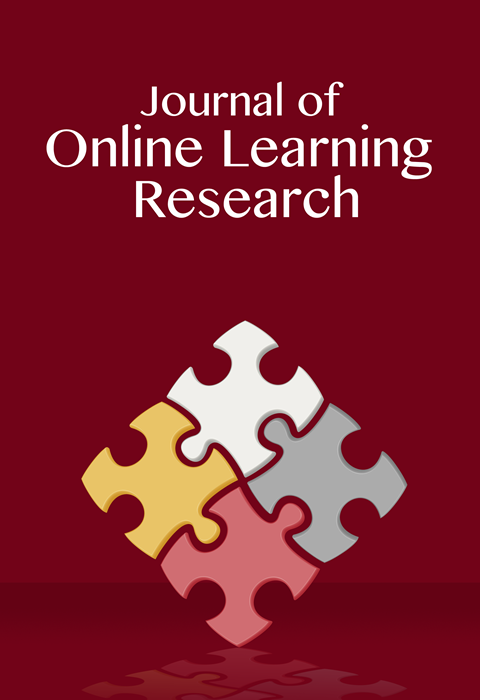 Using survey and interview data, this study examines online language teachers’ teaching practices, their adjustments toward online teaching, and the professional development (PD) that they received and expected to receive in a virtual high school in the United States. The findings suggest that online teachers generally used more non-content-related teaching practices than content-related teaching practices in online language courses; and that instructors in Chinese – the only language course that offered weekly synchronous sessions – exhibited more frequent use of content-related teaching practices than teachers of other world languages. The study also sheds light on teachers’ adjustment to the online environment, which impacts their management, social, and pedagogical roles. Lastly, our analysis of the PD that teachers felt they needed, as against what they actually received, underscores the need for more PD in the areas of online-course design and content-related technology integration. The results of this study could be useful to online language teachers and researchers, and point the way to improvements in teacher education vis-à-vis online language teaching. Lin, C.H. & Zheng, B. (2015). Teaching Practices and Teacher Perceptions in Online World Language Courses. Journal of Online Learning Research, 1 (3), 275-303. Waynesville, NC USA: Association for the Advancement of Computing in Education (AACE). Retrieved April 25, 2019 from https://www.learntechlib.org/primary/p/171055/. Anderson, T., Liam, R., Garrison, D.R., & Archer, W. (2001). Assessing teaching presence in a computer conferencing context. Journal of Asynchronous Learning Networks, 5(2), 1–17. Cavanaugh, C., Gillan, K.J., Kromrey, J., Hess, M., & Blomeyer, R. (2004). The effects of distance education on K-12 student outcomes: A meta-analysis. Learning Point Associates. Compton, L.K.L. (2009). Preparing language teachers to teach language online: a look at skills, roles, and responsibilities. Computer Assisted Language Learning, 22(1), 73–99. Http://doi.org/10.1080/09588220802613831Compton,L.K.L.,Davis,N., & Mackey, J. (2009). Field Experience in Virtual Schools— To Be There Virtually. Journal of Technology and Teacher Education, 17(4), 459– 477. Conrad, D. (2004). University instructors’ reflections on their first online teaching experiences. Journal of Asynchronous Learning Networks, 8(2), 31-44. Dawley, L., Rice, K., & Hinck, G. (2010). Going virtual! The status of professional development for K-12 online teachers. Boise, ID: Boise State University. Retrieved from http://edtech.boisestate.edu/goingvirtual/goingvirtual3.pdf DiPietro, M. (2010). Virtual school pedagogy: The Instructional practices of K-12 virtual school teachers. Journal of Educational Computing Research, 42(3), 327–354. Dawson, K. (2009). Virtual schooling standards and best practices for teacher education. Journal of Technology and Teacher Education, 17(4), 479–503. Hampel, R., & Stickler, U. (2005). New skills for new classrooms: Training tutors to teach languages online. Computer Assisted Language Learning, 18(4), 311–326. Http://doi.org/10.1080/09588220500335455Hauck, M., & Stickler, U. (2006). What does it take to teach online? CALICO Journal, 23(3), 463–475. Kern, R., Ware, P., & Warschauer, M. (2004). 11. Crossing frontiers: New directions in online pedagogy and research. Annual Review of Applied Linguistics, 24, 243–260. Means, B., Toyama, Y., Murphy, R., Bakia, M., & Jones, K. (2010). Evaluation of evidence-based practices in online learning: A meta-analysis and review of online learning studies. Washington, D.C: U.S. Department of Education. Miles, M.B., & Huberman, A.M. (1994). Qualitative data analysis: An expanded sourcebook (2nd ed.). Thousand Oaks, CA: Sage. Mishra, P., & Koehler, M. (2006). Technological pedagogical content knowledge: A framework for teacher knowledge. The Teachers College Record, 108(6), 1017– 1054. Morris, S. (2002). Teaching and learning online: A step-by-step guide for designing an online K-12 school program. Lanham, MD: Scarecrow Press. Pett, M.A., Lackey, N.R., & Sullivan, J.J. (2003). Making sense of factor analysis: The use of factor analysis for instrument development in healthcare research. Sage. Queen, B., & Lewis, L. (2011). Distance education courses for public elementary and secondary school students: 2009-10. First Look. NCES 2012-008. Washington, DC: National Center for Education Statistics. Rice, K., & Dawley, L. (2009). The status of professional development for K-12 online teachers: Insights and implications. Journal of Technology and Teacher Education, 17(4), 523–545. Wang, L., Ertmer, P.A., & Newby, T.J. (2004). Increasing preservice teachers’ self-efficacy beliefs for technology integration. Journal of Research on Technology in Education, 36(3), 231–250. Http://doi.org/10.1080/15391523.2004.10782414Warschauer,M. (1999).Electronicliteracies: Language, culture and power in online education. Mahwah, NJ: Lawrence Erlbaum Associates.